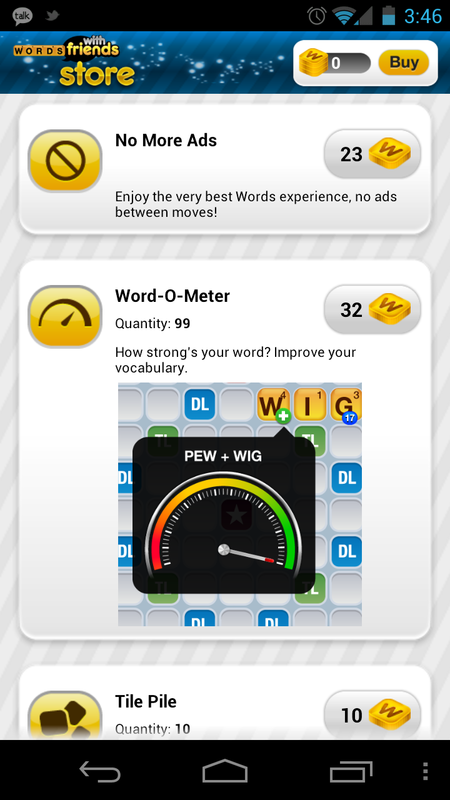 We here at DL have always been supporters of Words with Friends ever since Zynga ported their popular iOS application over to Android. There was a notion that the more good games that came over to the Android side, the better. But to many who play this game, that was never the case. The game has also been seemingly riddled with bugs and other issues that sometimes made the app unusable for people. For others, the app has worked perfectly and could not be any better. Well just a while ago, Zynga introduced the Words with Friends Store. 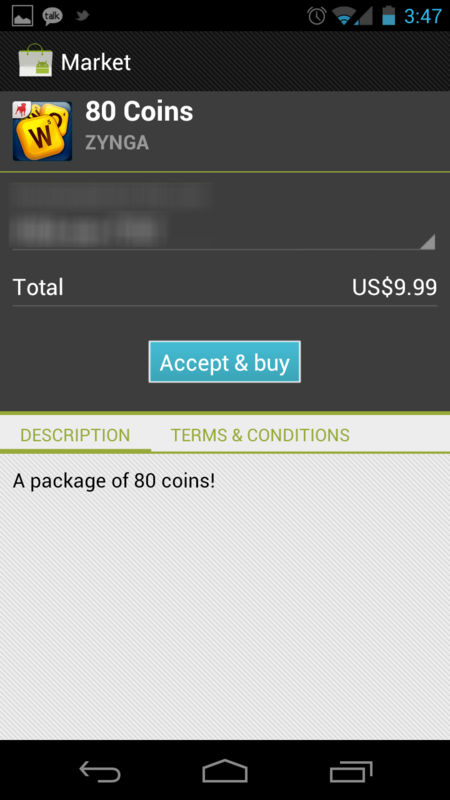 Users now have the option to purchase “tokens” which you can then use for certain features. The main feature being able to disable in-app advertisements. How much will that cost you? Just $3. But what about some other features such as “Tile Pile” and “Word-O-Meter?” There are purchase options that range up to 1000 tokens which run $100. Why you would need to spend that much money on Words with Friends’ tokens is beyond us, but you never know. If you feel the need to seriously dish out pain to your friends through WwF, then now is the time to do it. Have at it.